electrical energy and an integrated actuator to accept the electrical energy and product vibration. ; This action results in the vibrating grip assembly vibrating in a user. This is a golf grip that teaches golfers the right grip presure! There's nothing like this on the market. I believe this will help millions of golfers improve there game!! 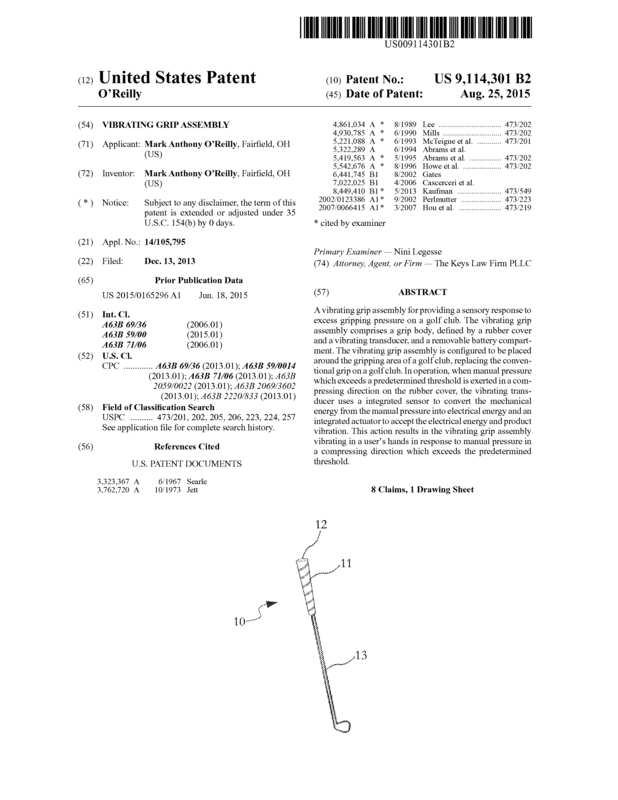 Page created at 2019-04-23 6:13:35, Patent Auction Time.